Description: A festive wall hanging featuring a Christmas tree, a snow man, and a reindeer. 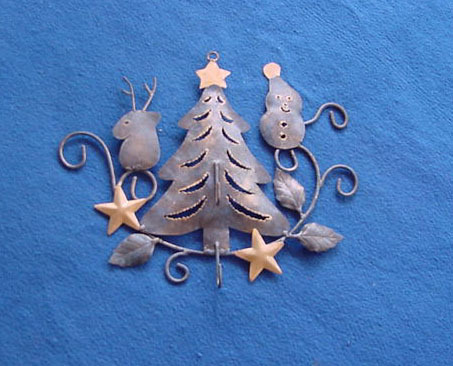 Description: A beautiful wall decoration, with a Christmas tree and two happy snow men. 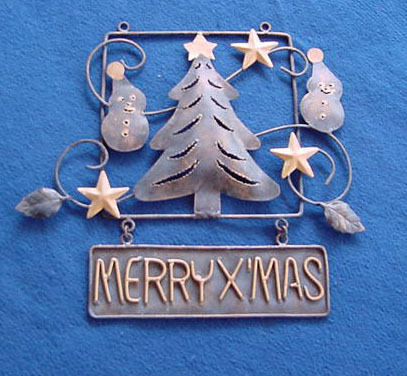 Also proclaims "Merry X'Mas" in big bold lettering underneath. 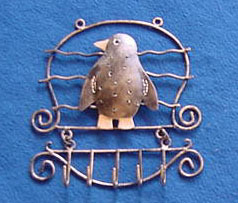 Description: A cute little penguin is the centerpiece of this beautiful hand crafted wall hanging. Includes 5 hooks for hanging keys, etc. Description: This wall hanging features a penguin swimming in the ocean waves. 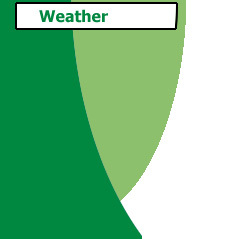 Includes 3 hooks for hanging keys, etc. 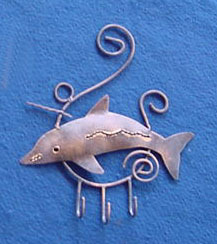 Description: A lovely dolphin, jumping over waves is the subject of this beautiful wall hanging. Includes 3 hooks for hanging keys, etc. 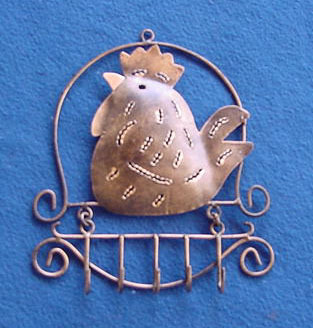 Description: A delightful chicken welcoming a new day. A wonderful work of art that would look great in any kitchen, or breakfast area. Includes 5 hooks for hanging keys, etc. 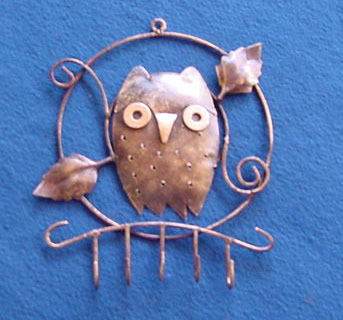 Description: This wonderful little owl is perched in a tree, surrounded by leaves. Includes 5 hooks for hanging keys, etc. 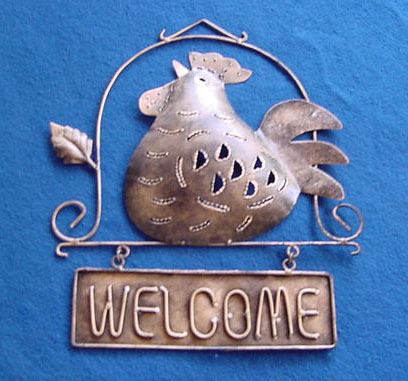 Description: Similar design to Chicken 1, only including a plaque with the word "WELCOME" hanging underneath. 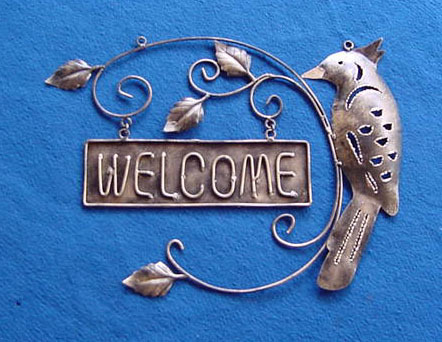 Description: A very elegant design, with a bird in a tree, and a plaque in bold letters with "WELCOME" on it. A beautiful wall decoration inside or outside.